Karloo Pools Bushwalk, Royal National Park. The Karloo Pools bushwalk is only around 2km. It’s an excellent place to go for a swim and have a picnic lunch. This makes it ideal for going in the summer months. Due to the walk being short its good to get the kids started on this one as there is a great reward at the end when they get to Karloo Pools. Having said that even though it’s only 2 km’s it’s difficult for children in parts so you’ll need to give them a hand. There is also a steep ledge along part of the track. So you’ll need to keep a close eye on your kids during this bit of the bushwalk. If you keep going from Uloola falls it’s another 5km to Waterfall train station. So it’s around 10km if you want a decent bushwalk and do both Karloo Pools and Uloola Falls in one hit. From Waterfall station you can train it back to Heathcote station to your car. Google Maps Link. 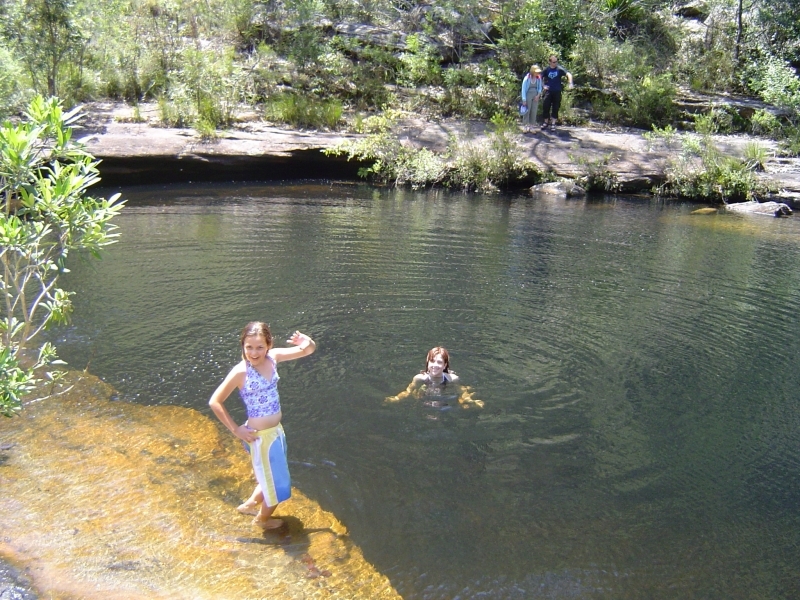 Karloo Pools Bushwalk is located in the Royal National Park. You can get there either drive or train it to Heathcote train station. Behind Heathcote station head east to Wilson Pde and past the Fire Brigade buildings. This will lead you to the trail head of the Karloo track. Thanks for the tip about extending the Karloo Pools bushwalk to Uloola Falls. Great walk. Karloo Pools bushwalk Photo Gallery. 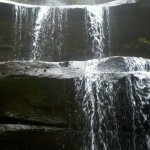 tags: Karloo Pools, Royal National Park, Uloola Falls, bushwalk, bushwalking, bushwalks, hike, hiking, trail, track.